The Rice Lake CB-2 is a versatile, efficient concrete batching control system ideal for ready-mix and block plants. 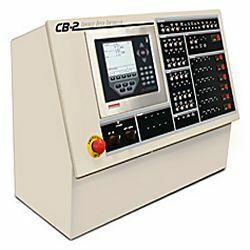 The CB-2 is capable of controlling portable plants, stack-up plants, central mix, dry batch, as well as precast facilities. From weighing raw material to automatic printing of tickets and reports, your entire operation can now be cost effectively controlled from this proven reliable controller. Driven by Rice Lake's intelligent 920i HMI controller, the CB-2 delivers real-time statistical data through various network options. Robust processing power and expanded networking capabilities allow the CB-2 to easily communicate with printers, PCs, keyboards, and other peripheral equipment.